NLC Internship exists to serve and further the vision of New Life Church while developing leaders and followers of Christ. The NLC Internship is for college-age men and women who consider NLC Conway to be their home church. Whether you simply want to be more involved at New Life Church, you currently serve or lead, or you dream of being involved full-time in ministry one day, NLC Internship will give you exclusive opportunities to serve within the church while being developed by our staff. If you are passionate about New Life Church and want to help us further the vision of our house, NLC Internship could be a great next step for you! 4-5 hours with intern class, with focus on serving together and growing as leaders and followers of Christ. What is the purpose of the NLC internship? NLC Internship is for college-age men and women who consider NLC Conway to be their home church. Summer semester will be 10 weeks. Fall and spring semesters will be 12-13 weeks. See more info in Details section. Why is the summer internship more of a time commitment than the fall or spring? The larger time commitment in the summer semester will allow our staff to spend more time focused solely on growing and developing the intern class. We hope to take advantage of the flexibility in a summer schedule to give interns an experience that will facilitate the maximum amount of personal growth as they serve the church. In what ways can I expect to grow and be developed as an NLC intern? You will grow through serving, Biblical teachings, and coaching in one-on-one and group settings. Interns will be given serve opportunities within New Life and receive weekly teachings and coaching from NLC staff. What does a typical week look like for an NLC intern? Every week interns will spend the majority of their time serving with their coach in their assigned department. They will also spend time serving with their intern class during weekend services and learning from New Life pastors and staff. Can I get credit for the internship? Possibly. Interns will need to explore if NLC Internship fulfills expectations and requirements by their institution, department, and advisor. It will be the intern’s responsibility to fulfill those requirements and any paperwork needed. How do I apply for Summer Internship? Complete the application. This application will close April 25 at midnight. After we review your application, we will contact you to schedule an interview. How do I apply for the Fall or Spring Internship? The application for the fall and spring semesters will be released at a later date. After an application is submitted, you’ll be contacted and an interview process will follow. At this time, we cannot provide housing for interns. What does the cost go to? The cost goes to internship resources, hospitality during meetings, and travel expenses. 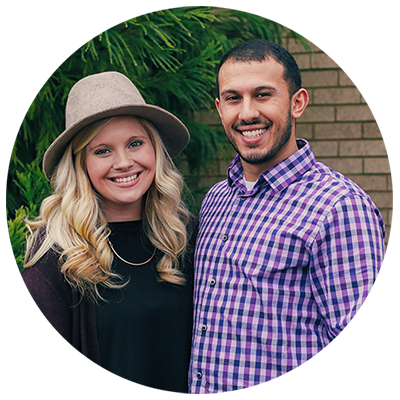 Amir and Bethany Rostampour serve as the Internship Pastors at NLC Conway. They have served, lead, and pastored college students & young adults in many different capacities. They are passionate about developing young men and women as leaders and followers of Christ. They have been on staff at New Life Church since 2014. Amir is a full-time pastor and also works part time as a licensed counselor. Bethany is on staff as an administrative assistant to our Executive Worship Pastors.